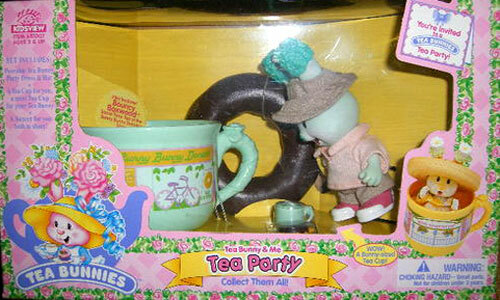 "You're invited to a Tea Bunnies Tea Party!" 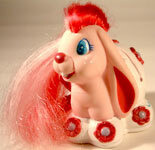 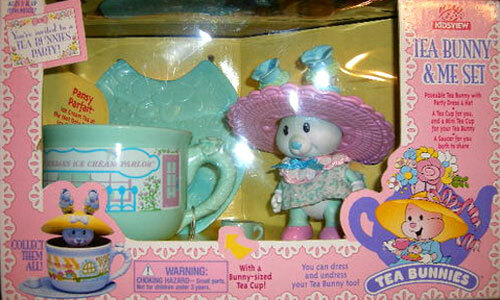 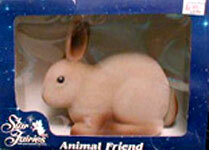 Tea Bunnies were originally produced by Tomy around 1995. 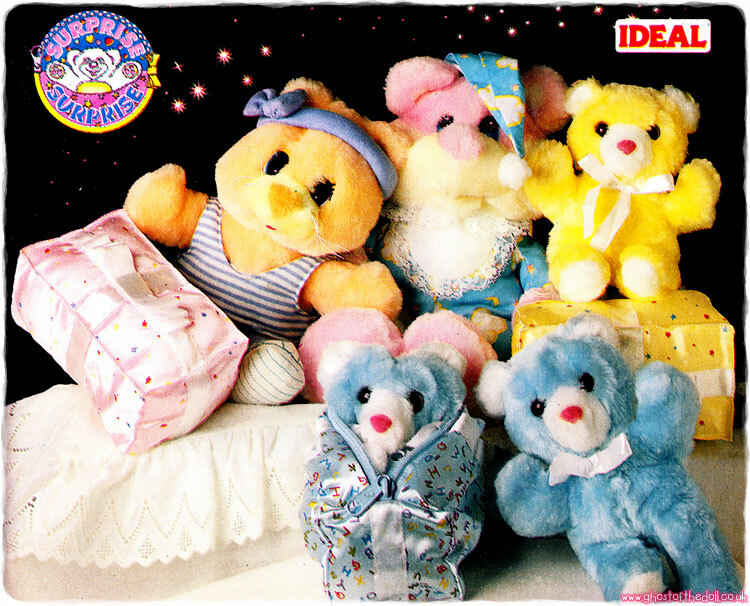 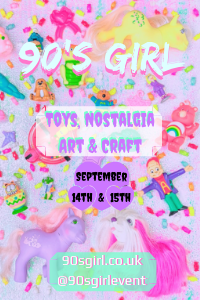 Kidsview took over the production a year or two later, then Uneeda/The Beanstalk Group in 1999 (the toys remained unchanged). 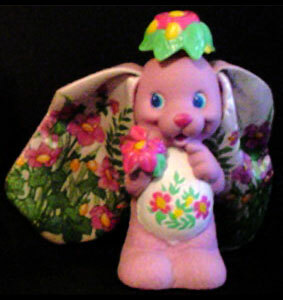 They were a series of poseable plastic bunnies about 4 inches high with flowers molded on top of their ears which came with large tea cups that doubles as shops. 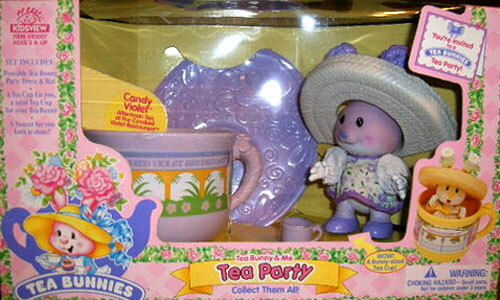 There were also a few playsets and some story books too. 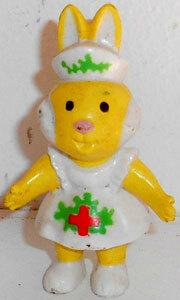 Images on this page thanks to eBay sellers momofscottiez and caylar2 ! 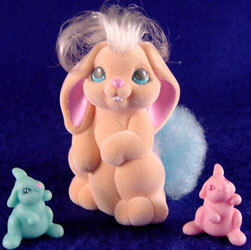 View all Tea Bunnies on eBay.com or eBay.co.uk ! 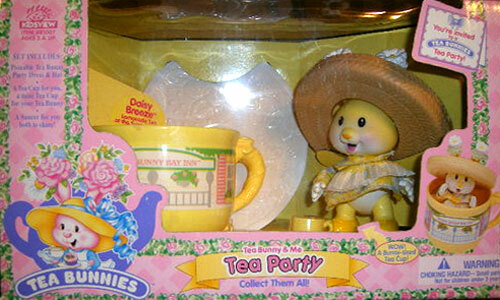 Adults - "Tea Bunny & Me"
There were six original Tea Bunnies, then two more were introduced (Daisy and Iris). 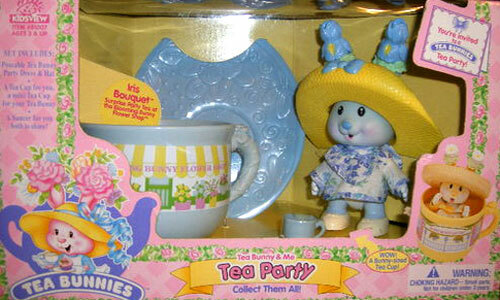 Each Tea Bunny included a dress, plastic hat, bunny-sized tea cup, and a large tea cup and saucer (with the exception of Bouncy Boxwood). 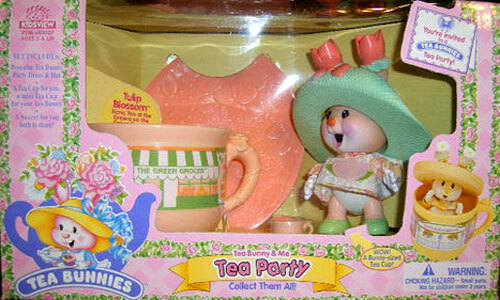 The hats had two holes in for their ears to peek through. 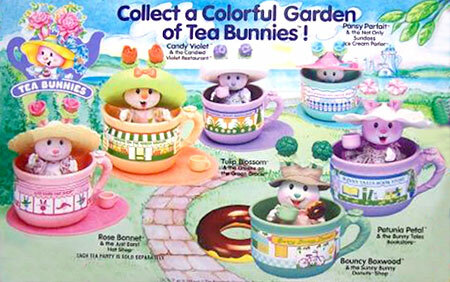 The hats also doubled as roofs for the large tea cup, which were also shops, and the bunnies could fit inside the cups when sat. 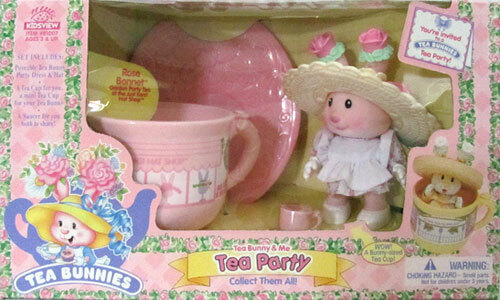 It is interesting to note I haven't come across any Tomy packaging so far for the adult Tea Bunnies, they are all Kidsview with a smattering of Uneeda stickers over the top of some. 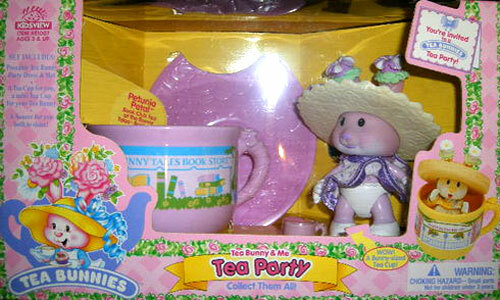 I've also found two slightly different styles of Kidsview packaging (see Pansy).